Department of Health Sciences, College of Life Sciences, George Davies Centre for Medicine, University of Leicester, Leicester. 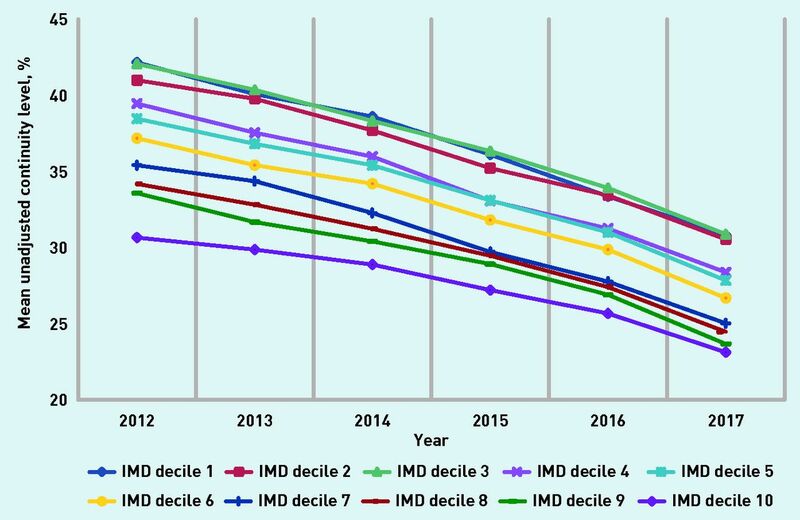 Mean unadjusted continuity in English practices by IMD decile 2012–2017. IMD = Indices of Multiple Deprivation. ↵a Continuity was calculated by multiplying the scores of specified responses to two questions in the GPPS: Q8, ‘Have a preferred GP to see or speak to’ (‘Yes’ answer), and Q9, ‘Frequency of seeing preferred GP’ (higher level of access: the sum of ‘Always or almost always’ and ‘A lot of the time’ answers). The GPPS responses are weighted and in the data presentation, a 95% confidence interval is given for each practice of the combined estimates of the two options. GPPS = GP Patient Survey. IQR = interquartile range. PHE = Public Health England. 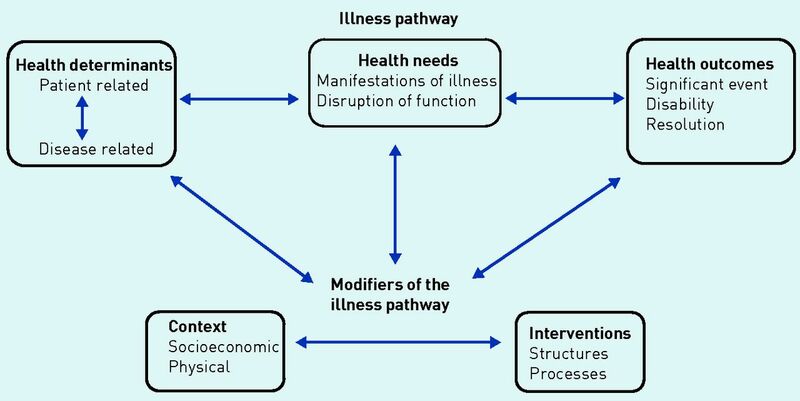 QOF = Quality and Outcomes Framework. SD = standard deviation. ↵a Change in slope of continuity for each year if variable increases by 1%, unless otherwise specified. ↵c North sub region taken as reference. CI = confidence interval. IMD = Indices of Multiple Deprivation.